Easily find your most loyal customers or members and create exclusive loyalty offers or coupons. 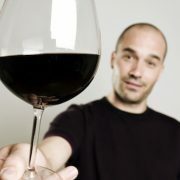 Filter to see your top tier customers or members, or members who purchased a minimum amount of a featured wine. 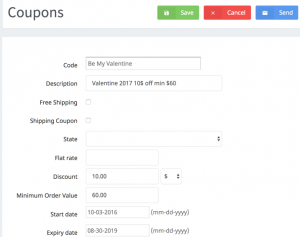 Create member-only coupons to bring them back to buy again. Create a special offer for customers on holidays or anniversaries. Celebrate birthdays with a special coupon offer for your VIP members. 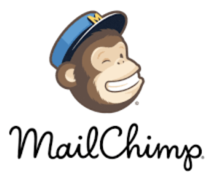 Export to MailChimp and market to your most valuable customers. The advantage of third party mail campaign tools? Advanced reporting and analytics, flexible designs, and most importantly… the peace of mind that your campaign will land where it’s meant to. In the inbox. You can also email your customers directly from Vines OS. Filter to find your biggest spenders, or those who attended a previous event or purchased a minimum amount of a your previous vintage Cabernet. Compose the message, hit send. It’s that easy. And it’s guaranteed to hit their inbox — we use the same mail servers as Mailchimp. Best of all, the emails are stored with the customer record, so you can always see past communications.